Philippinefails: Tropical Storm? So What! 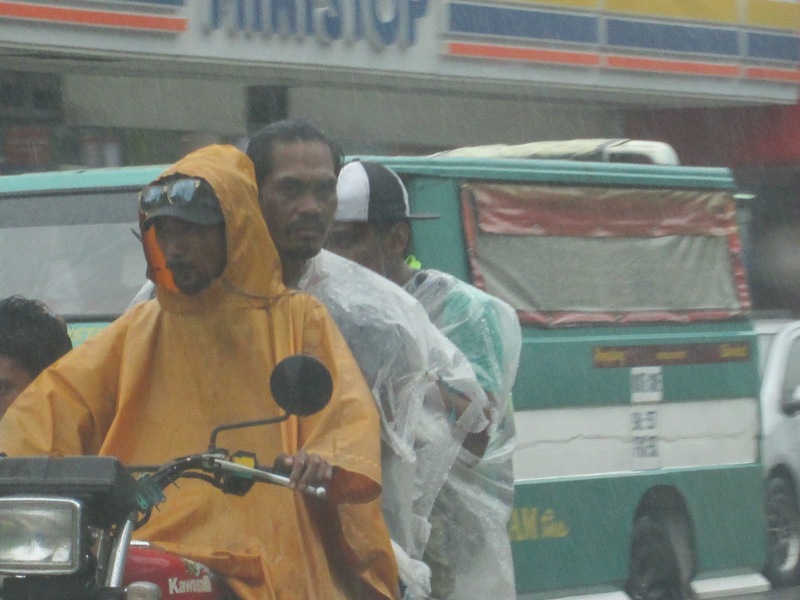 A tropical storm does not mean a stop or a standstill of any kind in the Philippines. 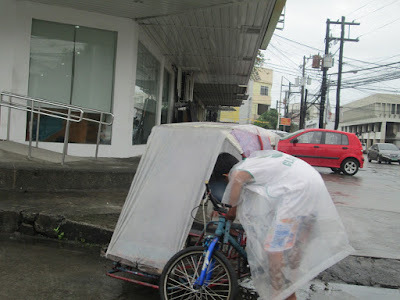 Life finds away. 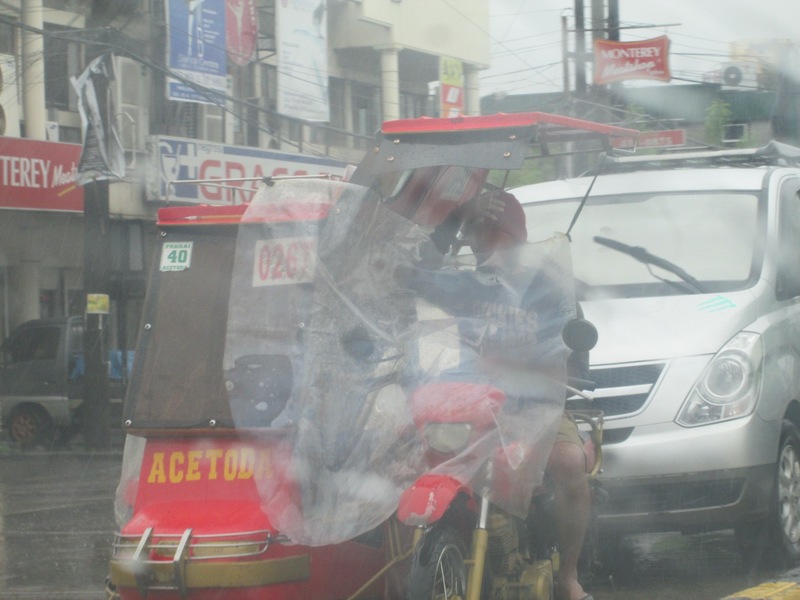 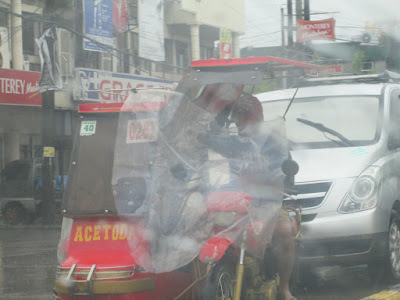 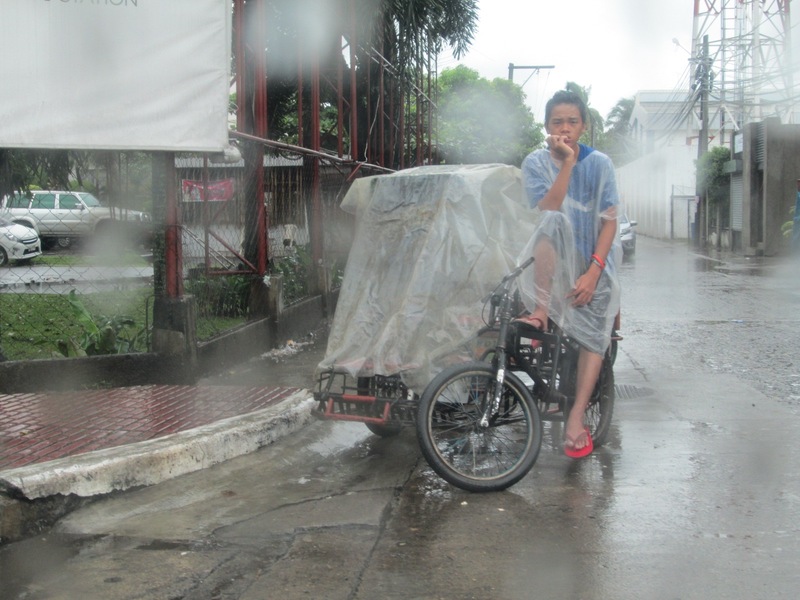 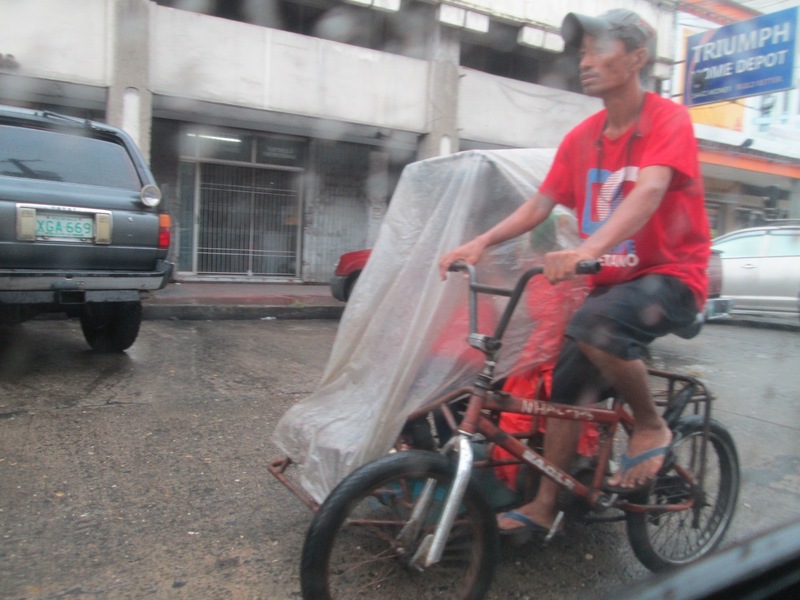 For tricycle and pedicab drivers it means breaking out the large sheets of plastic. For motorcyclists it means breaking out the rain coat or plastic bag. 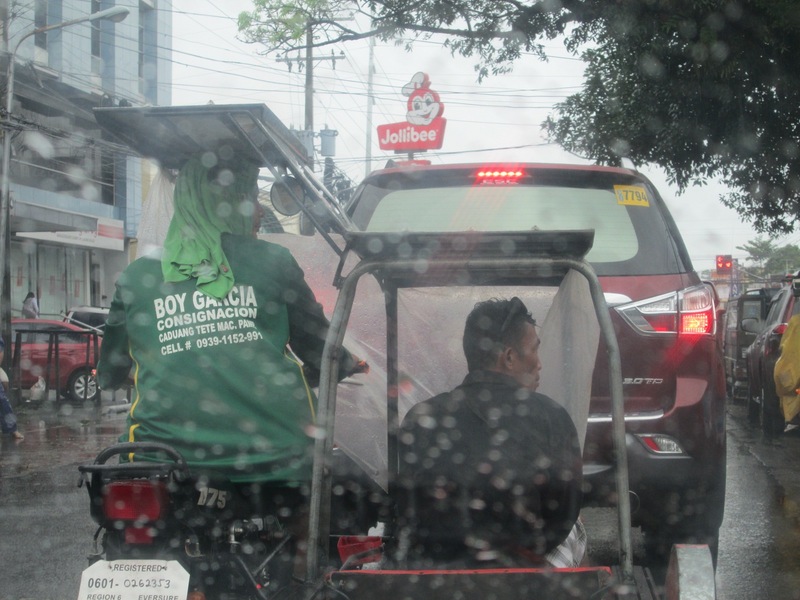 Life may not come to a stop but traffic sure does come to a screeching halt. 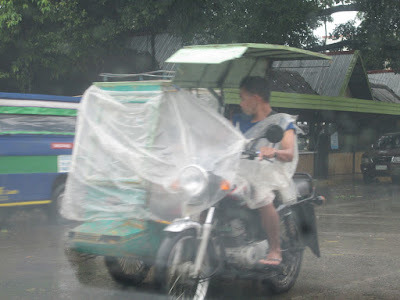 Especially if there is a power outage caused by the wind blowing the traffic lights around.